A recovering alcoholic and former Franciscan priest, Manning’s spiritual journey took him down a variety of paths, all of them leading to the profound reality of God’s irresistible grace. “My deepest awareness of myself is that I am deeply loved by Jesus Christ, and I have done nothing to earn it or deserve it,” Manning writes. He spent the last forty years of his life helping others to find their own identity in the tenderness of Jesus Christ. As a writer, Brennan Manning is best known as the author of the contemporary classic, The Ragamuffin Gospel. He wrote many other influential and popular books, including Abba’s Child, Ruthless Trust, The Importance of Being Foolish, Patched Together, The Furious Longing of God, The Parable of Willie Juan and his final book, All Is Grace: A Ragamuffin Memoir. “The NIV Ragamuffin Bible is good news for every ragamuffin – the one who sleeps on the park bench or the one who sleeps in the church pew. Both have a spot in the Kingdom of God,” says Brown. Many come to God feeling like ragamuffins – unworthy and unlovable. 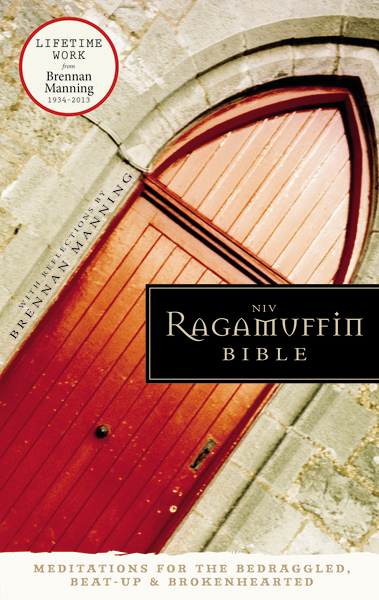 Zondervan’s new NIV Ragamuffin Bible: Meditations for the Bedraggled, Beat-Up and Brokenhearted (November 2013) is a reminder to the ragamuffin in everyone that they are still God’s beloved, no matter what they’ve done. Everyone needs grace, for ourselves and even the person who sits next to us at work, at church or on the bus. 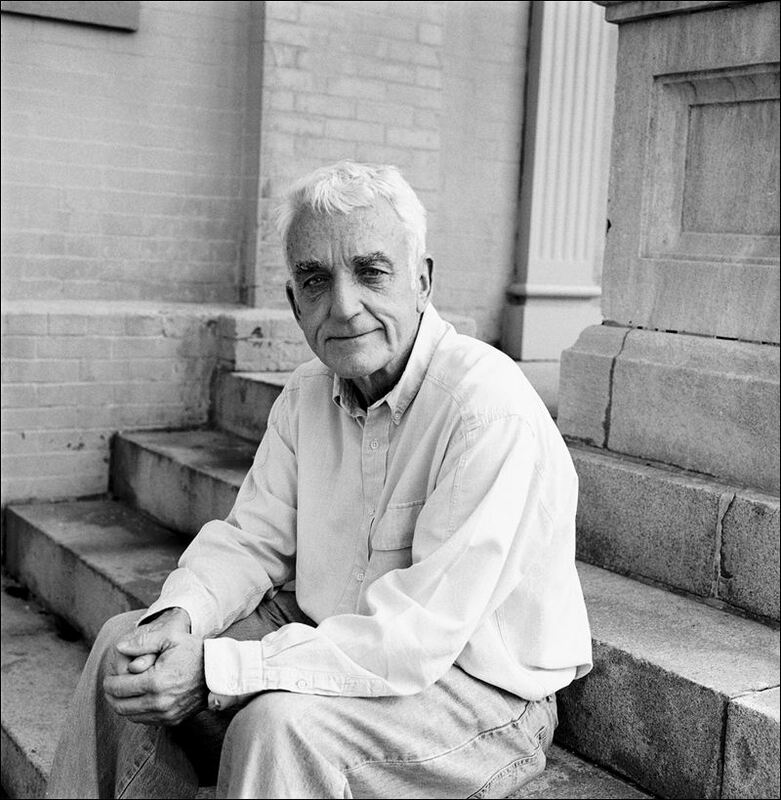 Excerpts from the life’s work of the late Brennan Manning, who passed away in April 2013, are the heart and soul of the Ragamuffin Bible. Zondervan’s immediate plans include partnering with ministry organizations and marketplace leaders in key cities to get samples of the Bible (the books of Psalms and Matthew available for free download on www.ragamuffinbible.com ) into the hands of the undervalued and the overlooked in homeless shelters, halfway houses and health clinics, etc. The e-version of the full bible is available for only $4.99 during December. Perhaps no one welcomes the message of grace more than the marginalized of society. Yet we each desperately need it. Many accept the gift of God’s unconditional love and grace, in theory, but can’t seem to apply it in their daily lives. They beat themselves up over their own failures and pull away from God because they subconsciously believe he tallies their defects and hangs his head in disappointment. Pairing the text of the most popular English Bible translation in the world with the writings of one of the most respected authors and scholars of the last century, the NIV Ragamuffin Bible offers a collection of Manning’s raw, painfully honest, yet grace-filled devotions, meditations, and reflections of his journey limping back – like the prodigal son – to his overjoyed father. Shedding new light on God’s Word from an unexpected perspective, this NIV Bible is a precious reminder to the ragamuffin-prodigal in everyone that they are still God’s beloved. In addition to the full NIV text, devotions, reflections, and quotes from Brennan Manning are scattered throughout this Bible. A sturdy hardcover provides durability as well as a canvas for this Bible’s gripping cover design.